Prior to 2008 teachers generally felt positive about teaching and were proud of our education system. Our ranking for educational achievement, on most international assessments, placed us clearly in the top five (when you considered our social and cultural diversity, we were probably number one). We had just started implementing our new curriculum, which had taken around eight years to develop through a co-construction process, and the Ministry's Best Evidence Synthesis publications addressed almost every aspect of education using the best research and evidence available. We weren't perfect but we were heading in the right direction and were recognized internationally for this. After 2008 we suddenly found ourselves in a whole new environment and our education system was in crisis. We were told that children who arrived at school with disabilities, English as a second language or socio-economic disadvantage (the 20% of underachievers) were struggling because schools were failing them. The fact that 80% of our children were doing well and our top students were the best in the world was ignored. Poverty and inequity was also dismissed as a contributing factor in underachievement. We were told that National Standards in Education would be the answer and that literacy and numeracy should be the focus of teaching above all else. Politicians would now lead educational change as we were told the profession could no longer be trusted because of our political, self-serving agendas. The National led Government was adamant that New Zealand needed to follow the education approaches adopted by the US and UK and even appointed an English Bureaucrat to lead the Ministry of Education. 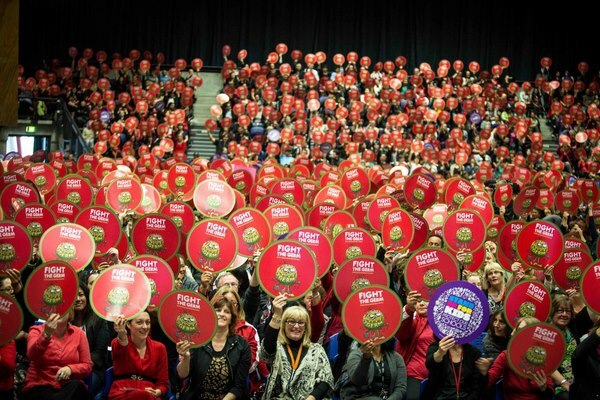 The previous Education Minister, Anne Tolley, informed a National Party conference that there needed to be widespread systemic change in education and her replacement Hekia Parata has continued the theme after the 2011 election. We were informed that larger classes would produce better outcomes for children, Charter Schools (that didn't have to follow the curriculum or use registered teachers) would lift achievement and that National Standards, despite their "ropey" nature", would used in league tables to compare schools. Apparently it would be helpful to show even more clearly that the higher the decile of the school, the more likely children will achieve and parents with children in special needs schools needed to know just how far below the rest their children were. The Christchurch earthquake provided a unique opportunity to push change even more rapidly and Charter schools and mega schools were planned, with almost no consultation and using data manipulated to suit the agenda. While the Government promoted the importance of choice this obviously did not include schools with smaller rolls and rural situations. The possibility of two different schools sharing the same buildings, but at different times, is also being considered. It is obvious that cost savings rather than children's learning and supporting communities drove the initial plan. All these changes seemed nonsensical to the teaching profession as there seemed no benefit to children's learning in any of them. Clarity around the Government's agenda became obvious with the visit of Pasi Sahlburg earlier this year. Pasi is an internationally regarded educationalist from Finland, the top ranking country for educational achievement. 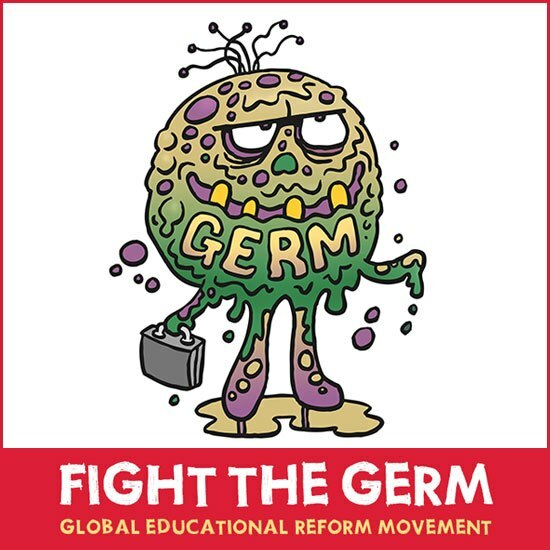 Pasi introduced us to the Global Education Reform Movement (GERM) that is spreading throughout the world and yet failing the children in countries where it is being introduced. 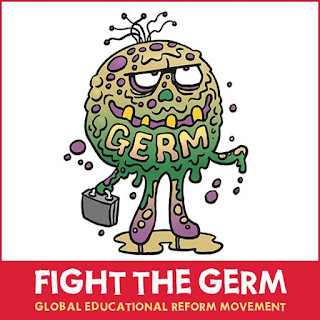 GERM uses ideological economic and business imperatives to determine educational change rather than a foundation of educational research and evidence. Instead of teaching being based on collegiality, cooperation and good practice there is an emphasis on competition. Teachers compete against each other for performance bonuses and schools will compete for enrollments. Rather than share ideas and provide collegial support, teachers and schools will keep their knowledge to themselves and even actively undermine competition. This will have the effect of causing a decline in teacher and school performance. Collaboration is the best way to increase teacher capability across the profession. Instead of individualized programmes to suit diverse learners and backgrounds and recognizing different rates of development (and birth dates), all children will be expected to meet the same standardized assessments in literacy and numeracy at the same time. This will discourage some learners and have them judged as failures when they may actually have other useful skills and knowledge not being assessed and the fact that they may be the youngest in the class will not be recognized. Personalised learning recognises that children develop at different rates and can learn better when they can empathise with learning contexts. Instead of ensuring all schools are well resourced and supported and all teachers meet professional standards, business and religious interests can set up schools with non qualified teachers and have higher levels of funding than others. This is described as providing greater choice and yet overseas experiences show that enabling such "choices" results in Charter Schools of poor quality and those that are more successful achieve that success by excluding children who will not produce good results. Rather than an expectation that all schools will be good schools, we will have winners and losers. It is the equity across all schools that is most important to lift achievement as not all children will be able to attend the 'best' school if we give some schools unfair advantages. Instead of broad assessments providing an overview of all that schools and teachers do to support teaching and learning, data based accountability rather than qualitative assessments will be used. Schools and teachers will be compared and judged based on their numeracy and literacy results. "High stakes" assessment will be the result and teaching to the test will become common. Teaching will be narrowed to those curriculum areas being assessed and the teaching of learning areas such as Science and Technology will suffer. Children with learning disabilities and behavioural difficulties will become liabilities to the assessed performances of both teachers and schools. If we have a trusted, highly professional teaching body that is well supported professionally and can just get on with the job of teaching then much of the time consuming accountability processes can be avoided. 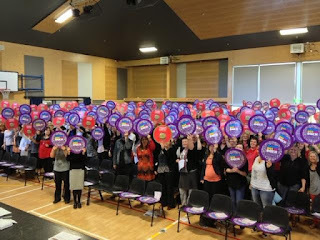 Primary teachers are currently meeting around the country using paid union meetings to discuss the Ministry's offer in our agreement negotiations. It is obvious that the GERM agenda is being progressed via the negotiations and our attempt to have a system that supports career pathways and good teaching rather than clawbacks is being rejected. While there have been some wins over aspects of the Government's initiatives, the plan to increase class sizes was strongly rejected by most New Zealander's and there have been backdowns in the Christchurch plan, the GERM agenda is still pushing ahead in many areas and in a more subtle fashion. Bullying and bad faith has dominated this Government's management of education, rather than convince teachers of the professional value of National Standards or conduct a trial they just wrote it into law so that it became illegal not to implement them. If the profession expresses any concern about the Government's initiatives it is soundly rejected as politically biased and "union" driven. Schools that make stands are soundly punished by the withdrawal of professional support, threats of sacking and vilification through the media. As Christchurch has found, consultation is not considered an important part in progressing change and the Government demands that the teaching profession be compliant to the dictates of the Minister no matter how bizarre the directives. Mild mannered teachers are becoming uncomfortable and grumpy, they are having to spend hours dealing with Ministry incompetence through the Novapay introduction and they see the damaging effects of the Government's initiatives on their schools and children. Their patience and goodwill has been pushed to the max and demands for stronger action is being heard at meetings. This National led Government are buying themselves a battle and defeating GERM is the goal! The NZEI has been painted as militant and members self serving lazy disobedient monsters who fail their pupils. However staffroom discussion of employment issues is very muted, and it is difficult to get teachers to meet for Institute business. Militant? Hardly. More like pussycats. GERM is insidious and how can inoculations be found? A great article by the way. We have been warned. Thanks, Ianmac. 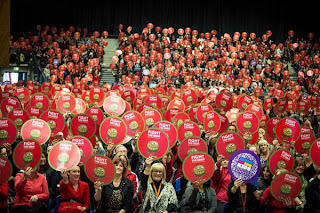 Teachers will act when they realize there is no other option and there were some very angry ones at our Invercargill meeting. A good number wanted to march to the local MPs office but we decided to save our energy for when bargaining hits a total brick wall. I ran a PUM last week. I told the members of my branch that things are dire and they will need to drink a cup of concrete to harden up because we will have to take action in the face of the GERM this government has brought down upon us. What was disappointing was the number of principals who prevented their staff attending. One principal, if he turns up to our end of year function, will be told by me exactly what I think about his lack of support for our profession and his disregard for the right of NZEI members to attend PUMs. This needs to be stressed more thoroughly by the Exec to principals. I'm over being treated the way this government treats education professionals. All the joy has been taken out of teaching and I feel vulnerable. We have to stand up to protect children, schools, our quality public education system and ourselves as professionals. NZEI Principal Council does great work in keeping principal's informed but obviously not all of them want to be. We certainly don't have that problem in Invercargill. You are quite right though, Melulater, we do need leadership from our principals if any future action is to be successful.